Norris McLaughlin & Marcus’ Annmarie Simeone provides practical advice on limiting the risk of workplace claims. CCBJ: How are companies handling compliance in terms of sexual harassment, and how should they be handling it? Annmarie Simeone: I’ve been working with labor and employment matters for over 15 years, and I find that businesses seek to be in compliance with the law and take whatever steps are necessary to do so. We’ve found that having an established and enforced anti-harassment policy in place is essential for a compliant workplace. The EEOC [Equal Employment Opportunity Commission] has, of course, been very active in this area. In 2016, the EEOC released a report on workplace harassment prevention, which included guidance and best practices for employers. The report reviewed many points that we believe to be necessary in developing and implementing an effective anti-harassment policy – a policy that should, ideally, appear in a company’s employee handbook and/or be separately distributed to employees upon hire. From a high level, what should a harassment policy cover? The EEOC suggests some critical elements to include in those policies. Importantly, it should be drafted in simple, understandable, clear language. If there are non-English speakers in the workplace, the employer should be providing that policy to those employees in their primary language to ensure that everyone is in fact aware of the content of the policy. In addition, the policy should have a clear explanation of the type of conduct being prohibited. Another crucial aspect to the policy is an anti-retaliation provision. That provision essentially should state that if an employee makes a complaint to the company, there is not going to be any retaliation against the employee for doing so. The employer should also have an established procedure for handling harassment complaints, and that procedure should be set forth in the policy. Again, that explanation should be clear and understandable, and the company should provide employees with various avenues through which they can voice a concern or a complaint to the company about harassment. The policy should lay out the steps that the company will follow in terms of providing a prompt, thorough and fair investigation of the complaint. Employees also should be notified that the complaint will be kept as confidential as possible. The company may need to reveal certain aspects of the complaint, but only on a need-to-know basis to conduct a thorough investigation. Beyond the policy itself, companies need to provide effective compliance training for both managers and non-management employees. Training is especially important at the management level, because managers need to understand their particular responsibilities in terms of preventing and identifying harassment in the workplace. Training should be tailored for your specific workplace, and if possible, it should be live, interactive and provide examples that the trainer can discuss with the staff participating in the training. The anti-retaliation portion of the company’s policy should be part of the training, as well, as it’s been observed that there is often hesitation on the part of employees to report these types of complaints due to concerns about retaliation. What are some of the costs of dealing with harassment lawsuits? How significant can they be? The hard costs are going to include the dollars that the company will spend investigating or defending a charge or a lawsuit, hiring an attorney to respond to a complaint or engaging an outside party to investigate complaints as they arise. All of these are just some potential legal costs that will be dollars out the door for an employer, but there are other costs, as well. Each year, the EEOC issues a report on its litigation and enforcement statistics, and we look at that to assess trends nationally and in New Jersey. For the EEOC’s fiscal year 2017, which is the most recent year for which these EEOC statistics are available, the commission reported that it obtained just over $46 million in benefits for victims of sexual harassment nationally. That is a significant number for one year, and it highlights the risk faced by companies that find themselves facing such issues. In addition, there are the costs of defense, settlements and trials in legal proceedings filed in court or resolved through arbitration and mediation. There are clearly significant hard costs stemming from harassment claims, and beyond that, there are also soft costs. Sexual harassment in the workplace can lead to low morale, high turnover and a drop in productivity. Those things are related to one another, and they can lead to revenues being at risk, as well. Additionally, there could be a concern that if “word gets out” about alleged workplace harassment, there will be an effect on recruitment and retention or generally problematic publicity for the company. In addition, if there is litigation or a need to address a charge or complaint with the EEOC or a state agency, like the New Jersey Division on Civil Rights, the company will be at risk of losing the otherwise productive time of those employees who will be engaged at some level in addressing the matter on behalf of the company. Depending on the company and its size, that might include the time of managers, supervisors or HR personnel. In a smaller company, it could be the owner of the company or the CFO who is required to spend time away from their normal duties to address the claim. Keep in mind that litigation is generally an extended, time-­consuming process. Two years is not an unusual time frame for reaching a resolution of claims. During this time, these hard and soft costs can have a significant impact on business operations. 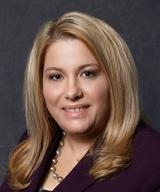 Annmarie Simeone concentrates her practice on labor and employment counseling and litigation. She has a wide range of experience in state and federal courts, as well as in alternative dispute resolution venues, primarily defending management in claims made by employees under state and federal employment laws, including whistleblower claims, as well as claims alleging harassment and discrimination based on race, gender, religion, national origin and disability. Reach her at amsimeone@norris-law.com.